Abstract: Tensors are multiway arrays, and tensor decompositions are powerful tools for data analysis and compression. In this talk, we demonstrate the wide-ranging utility of both the canonical polyadic (CP) and Tucker tensor decompositions with examples in neuroscience, social networks, and combustion science. We explain the model-fitting challenges for CP, including nonconvexity and NP-hardness, as well as the benefits, including uniqueness of the decomposition and the interpretability the results. We discuss the different types of tensor decompositions. For instance, a different choice of the fit metric in CP leads to Poisson Tensor Factorization for count data. Tucker has several advantages compared to CP such as the ability to easily compute the rank and even the rank required for a specific level of approximation. We present new results in scalability for both methods. For CP, we present a novel randomization method that not only improves the speed of the computation but also its robustness. For Tucker, we present results on compressing massive data sets by orders of magnitude by discovery of latent low-dimensional manifolds. Bio: Tamara G. Kolda is a Distinguished Member of the Technical Staff at Sandia National Laboratories in Livermore, CA. She holds a Ph.D. in applied mathematics from the University of Maryland at College Park and is a past Householder Postdoctoral Fellow in Scientific Computing at Oak Ridge National Laboratory. 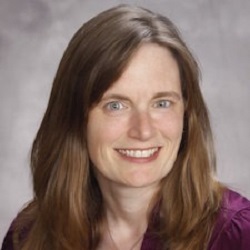 She has received several awards for her work including a 2003 Presidential Early Career Award for Scientists and Engineers (PECASE), an R&D 100 Award, and three best paper prizes. She is a Distinguished Scientist of the Association for Computing Machinery (ACM) and a Fellow of the Society for Industrial and Applied Mathematics (SIAM). She is currently a member of the SIAM Board of Trustees, Section Editor for the Software and High Performance Computing Section for the SIAM Journal on Scientific Computing, and Associate Editor for the SIAM Journal on Matrix Analysis and Applications.